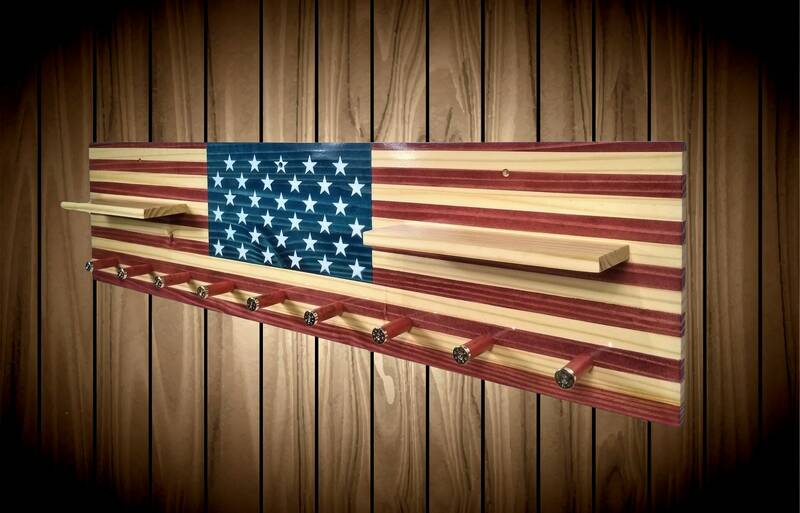 Unique Americana Shelf and Coat Rack, Wall Decor. 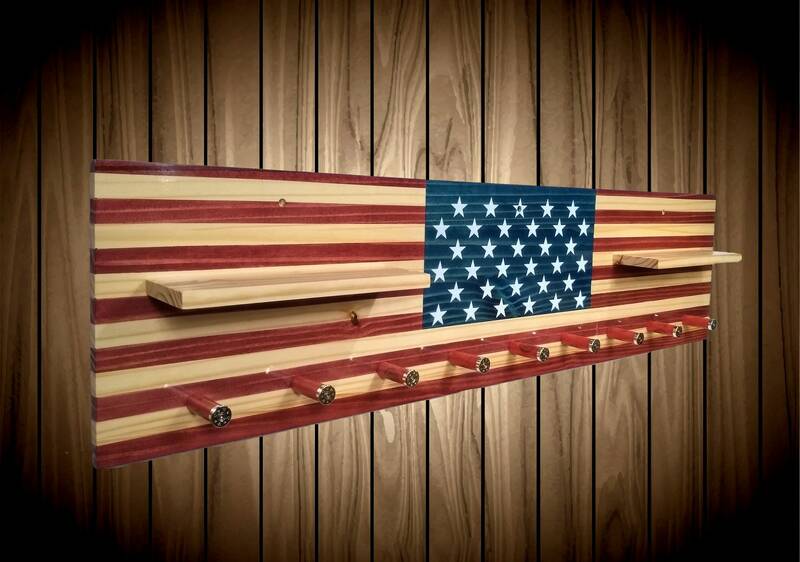 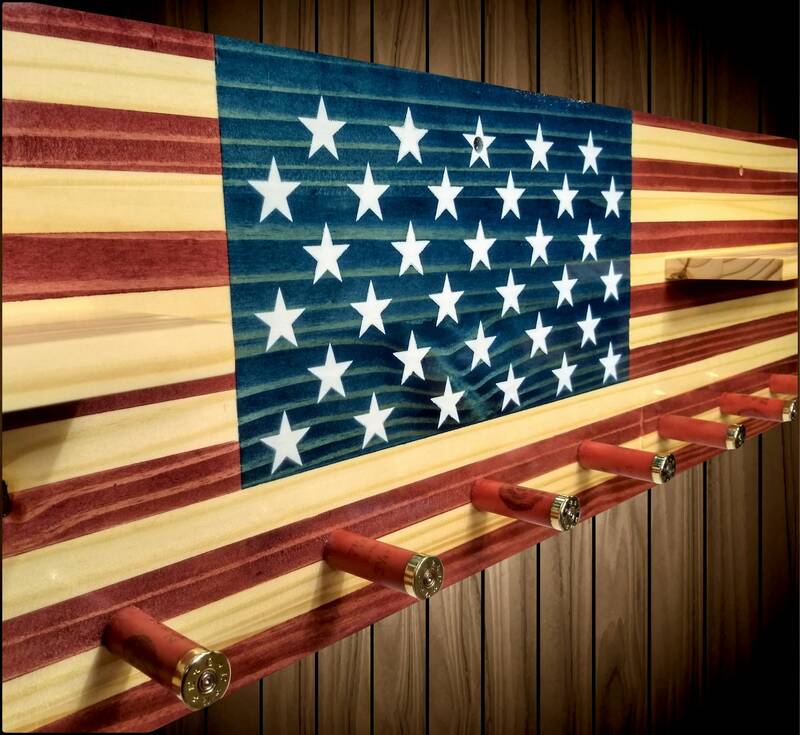 American Flag, Stained into Wood. 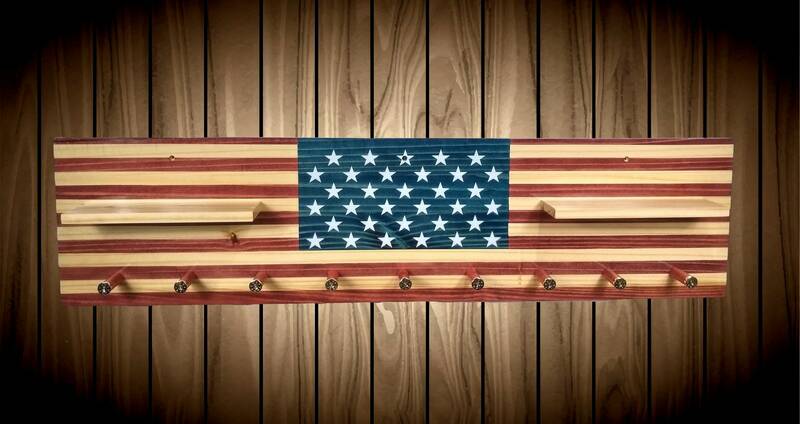 Great for Entryways, Man Cave, Clothes, or Towel Rack. 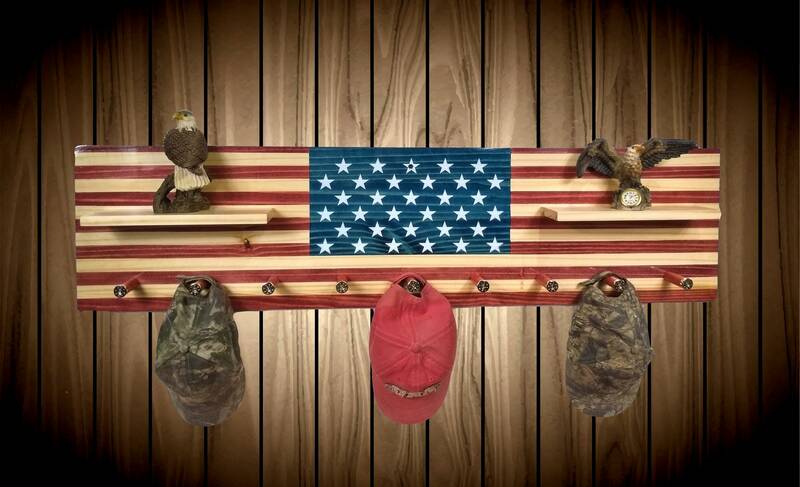 Shelf Sizes: 12” wide x 3 1/2” deep.. 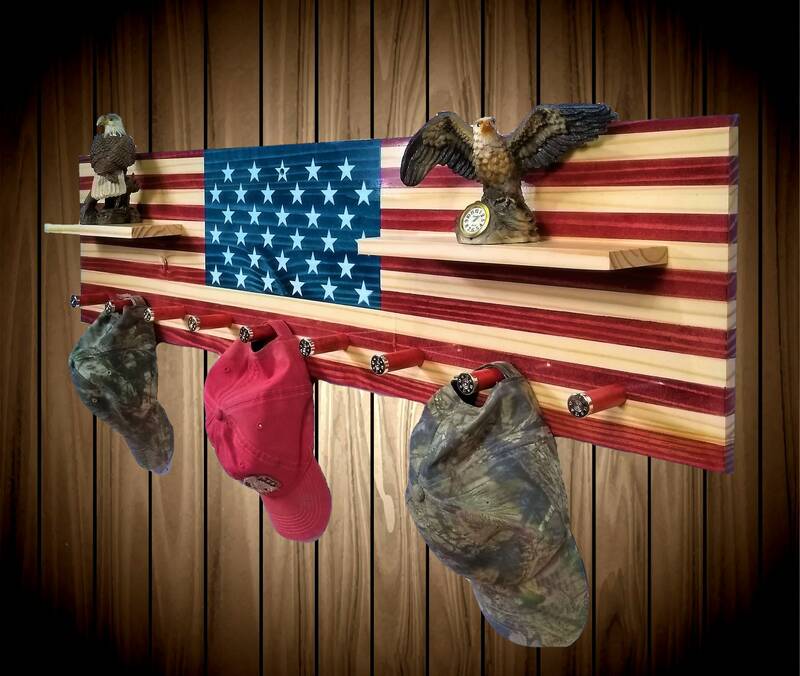 Mounting Holes 16” center Spacing.